The faint humming of a sewing machine accompanies the descent to a basement in the North West part of Copenhagen. 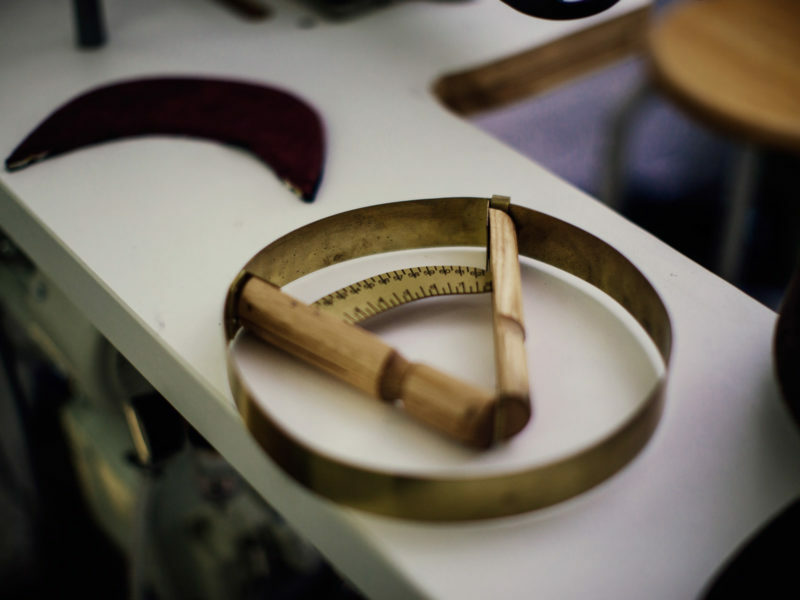 Here, Silas Gärtner has set up a small workshop where he makes caps from luxury materials such as tweed, leather and fish leather. 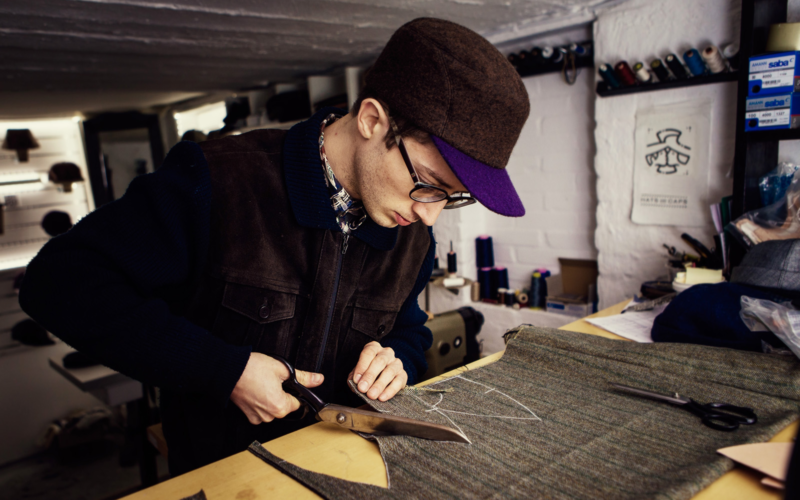 Silas learnt the old craft of cap making in Germany, but he gives it his own, modern twist. 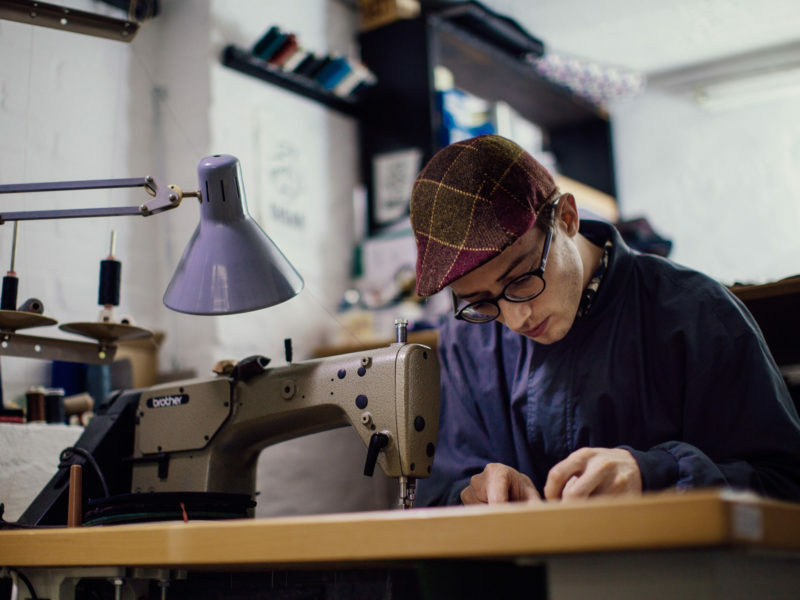 “I want to be known as the guy who makes the best, most stylish caps and hats in the world,” Silas says. Silas set up the workshop back in 2013. At first, he branded his caps under the name Sigar Hats and Caps. The name was a contraction of “Silas Gärtner”, and Silas felt that the word Sigar fitted his hat universe. With a view to selling his caps across Europe in future, Silas handed in an application for an EU trademark registration of the name Sigar Hats and Caps along with his logo. Silas never imagined that there was a risk he would not be allowed to use his trademark. It came as an unpleasant surprise, when a large company objected to his use of the name, as they believed it could be mistaken for their name. Silas soon realized that he needed professional advice, so he contacted Plougmann Vingtoft’s Trademark & Legal Team. “I didn’t expect it to be a problem. The spelling of the name of the large company was completely different from the way I spelled my name,” Silas explains. However, talking to trademark expert Anne Louise made Silas realize that the case was not quite as straightforward as that. Silas’ budget was limited, and Anne-Louise recommended that he contact the company to see whether they were willing to make a Trademark Coexistence Agreement. Silas had a fruitful dialogue with the company, and they agreed to draw up an agreement that defined in what context Silas was allowed to use the name. With Anne-Louise’s help, Silas tried to negotiate a better agreement, but even though the company were accommodating, there were still substantial drawbacks to the agreement. After having pondered the issue for months, Silas took the tough decision to turn down the agreement and in stead change his company’s name to Wilgart™. Silas has held on to his personal identity with the new company name, as Wilgart™ is a contraction of Silas’ middle name, Wilhelm, and his surname, Gärtner. And the name has grown on Silas. Now he considers it a further development and an improvement of the original name. Even though it was a big readjustment to start branding his company from scratch, producing new cap labels, shop fittings, marketing materials, etc. with the new name, Silas is glad that it happened before his brand was more widely recognized. Silas has obtained the trademark registration of his new company name and has since increase his IP portfolio with design registrations for his design identity on the brim and on the closing mechanism on the back of the caps. You can learn more about Silas’ caps at www.wilgart.com. Contact us and learn more about how we can help you.